Interested in finding out about the newest restaurants and retail additions to the Marina? From women's shoes to vegetarian wraps, read on for the newest businesses to open their doors in this neighborhood. Topping the list is Birdies, a shoe store that specializes in women's slippers and flats. According to the establishment's website, "We've combined the support of a sneaker with the softness of a slipper and the style of a designer flat." This shop's slipper styles include the velvet Robin with handmade tassels; the leather-trimmed Phoebe; and the pom-pom sporting Songbird -- while flat styles include the Blackbird, featuring Birdies' signature champagne satin quilting; the Wren, designed from luxe calf hair; and the suede Lark, with animal print tassels and a faux-fur footbed. Yelp users are excited about Birdies, which currently holds five stars out of one review on the site. 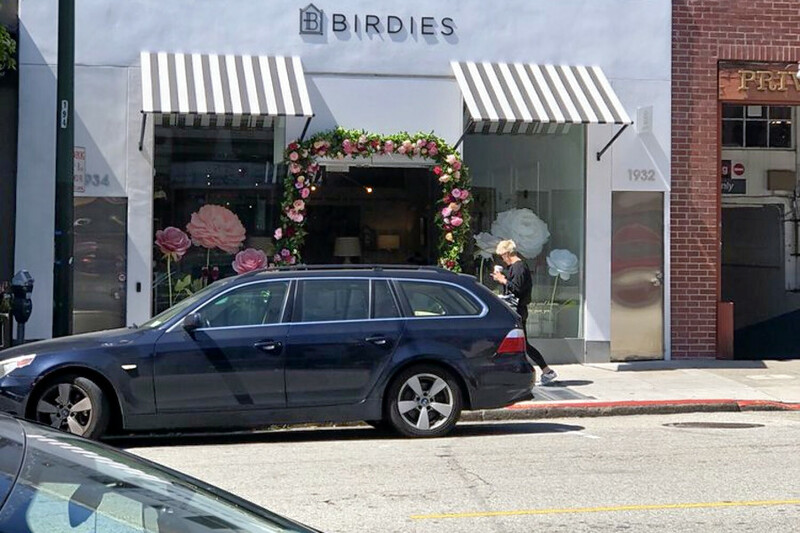 "Honestly this place has the cutest, albeit small, collection of shoes,"Yelper Brenae L., who reviewed Birdies on June 6, wrote. "The shoes are super comfortable and the staff is super friendly and easy to talk to. I can't wait to come back to San Francisco and pick up a few more pairs of flats." Birdies' hours are not currently published online. 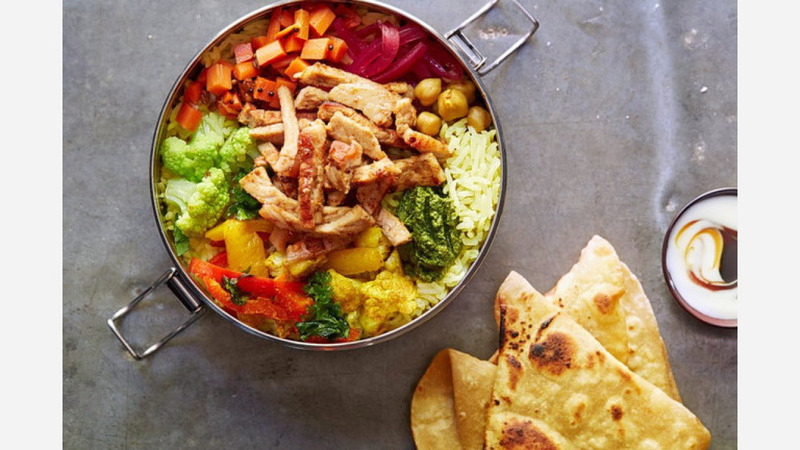 Next up is Dabba, a vegetarian spot offering wraps, salads, delivery and more that offers a fusion of Californian, Indian, Jamaican, Cajun, and Mexican cuisine. Add rice, beans, veggie puree, yogurt, and chutney to either taco shells, tortillas, or a bowl to build your foundation for slow-roasted lamb smothered in curry sauce; pork simmered in jerk sauce; or Cajun-spiced blackened chicken. Then wash it all down with an agua fresca, a mango lassi, or an organic chai. Dabba currently holds five stars out of 15 Yelp reviews on Yelp. "This is a great addition to the neighborhood," Gigi B. wrote. "The flavors were stellar and everything tasted healthy, fresh and unique. The service was great and it was a fast and easy option before going to a movie. We'll definitely be coming back regularly." Yelper David C. noted, "The jerk pork bowl was a combination of texture, spice, color and nutrition. The house hibiscus tea was served with a lime and I would definitely order it again. Welcome to the Marina, Dabba." Dabba is open from 11 a.m.-9 p.m. daily. Bolin Barbeque is a spot to score barbecue, sandwiches, salads, sides and more. Get ready for deer chorizo tamales with sweet potato masa and white barbecue sauce; skillet cornbread with cotija and chipotle butter; chicken-fried pork ribs; pulled pork with pickles and onions; and chopped brisket with Texas toast. And don't forget to save room for baked peach cobbler or coconut flan for dessert. With a five-star rating out of 17 reviews on Yelp, Bolin Barbeque has been getting positive attention. Yelper Jesse P. noted, "Just what the neighborhood needed. Super nice people and some of the best barbecue I've ever had. Bonus -- they're located inside the Blue Light for a brisket-rib-drink combo. Go check them out, you won't be disappointed." 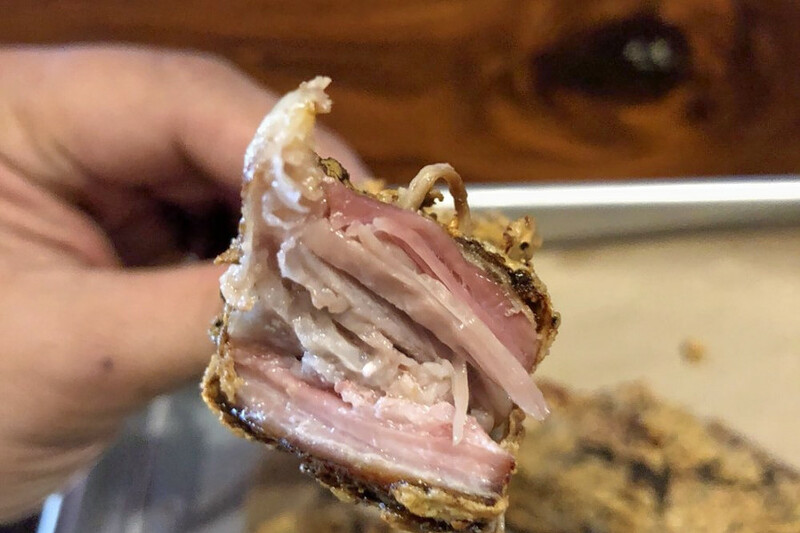 "This is some leggit authentic barbecue happening right here," Yelper Ian W. wrote. "Can't wait to go back and try some more. I could see this place getting super popular." Bolin Barbeque is open from 4 p.m.-10 p.m. on Monday-Thursday, 4 p.m.-midnight on Friday, 11 a.m.-3 p.m. and 4 p.m.-midnight on Saturday, and 11 a.m.-3 p.m. and 4 p.m.-10 p.m. on Sunday. 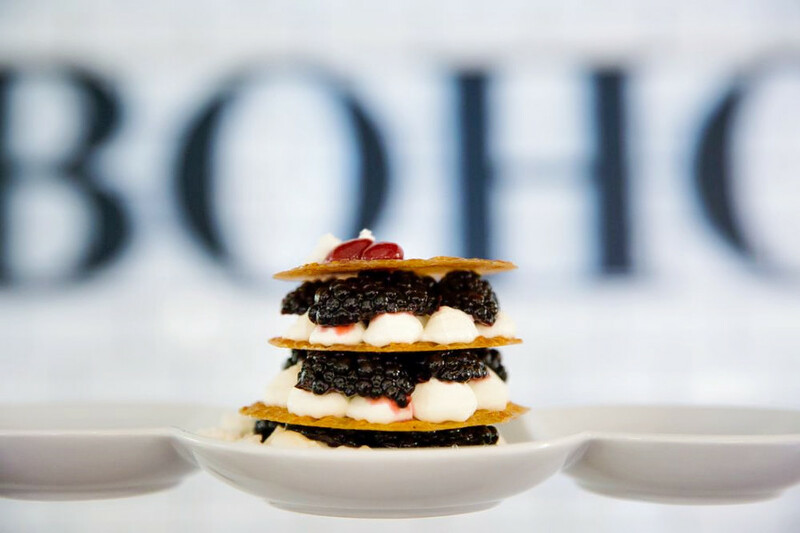 Cafe Boho is a wine bar and New American breakfast and brunch spot. Look for breakfast options like crepes stuffed with duck confit, sauteed veggies, smoked salmon, and fresh mozzarella and omeletes filled with wild mushrooms, bacon, onions, and Swiss cheese. Brunch is served on Sundays only, offering French toast with berry compote and whipped cream; pork belly eggs Benedict with roasted potatoes; and avocado toast with house pickles. Cafe Boho currently holds 4.5 stars out of 42 reviews on Yelp. "Went for dinner with a friend," Yelper Terri L. wrote. "Awesome and creative menu, good portions and attentive service. The truffle fries were delish and I loved the decor and vibe. Would definitely go back again for date night." Yelper Ilmia N. noted, "We decided to try multiple appetizers. All of it was top notch and an absolute treat. This place is fantastic." 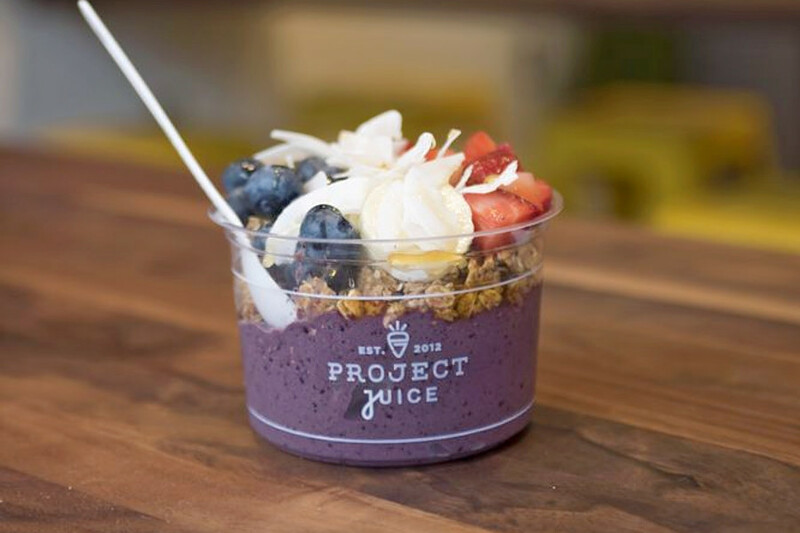 And last but not least is Project Juice, a spot that serves juice, smoothies, coffee, tea and more. With more locations sprinkled around the Bay Area and Southern California, this chain offers cold-pressed juices, nut milk, shakes, wellness shots, kombucha, cleanses, paleo protein waffles, avocado toast, and superfood bowls full of bananas, blueberries, pineapples, and probiotic coconut yogurt. Yelp users are excited about Project Juice, which currently holds 4.5 stars out of 13 reviews. "This Project Juice location may be their best yet," Yelper Kristina I. wrote. 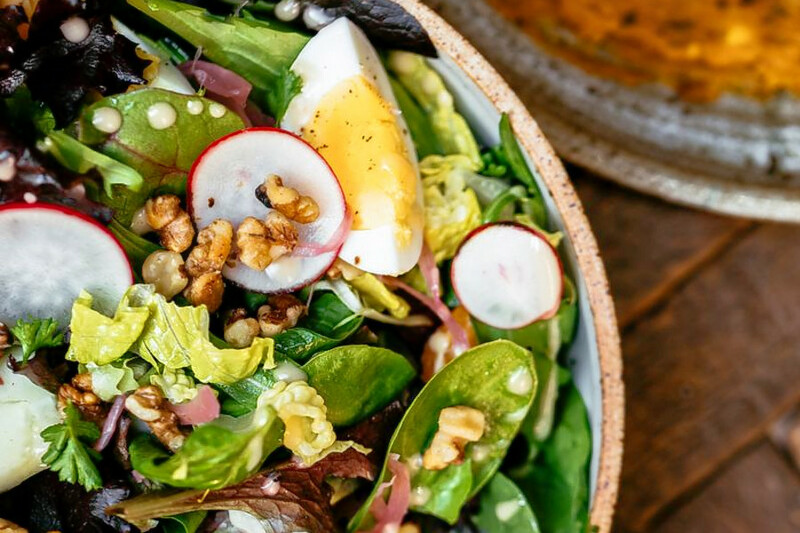 "It has everything from HPP organic juices (safe to drink if you are pregnant), grab-n-go lunches and salads, and the best avocado toast in the city. Their smoothies are so tasty you may need to get a few and share." Yelper Jenny H. noted, "It's quite busy on the weekends as people come in and out to get their healthy fix -- but it's a super clean store and they have a small outdoor patio. I will definitely be coming back." Project Juice is open from 7 a.m.-8 p.m. on weekdays, 8 a.m.-8 p.m. on Saturday, and 8 a.m.-7 p.m. on Sunday.